This coming weekend, one of the best-known and most competitive 100 milers begins on Saturday US time, the Western States 100. There’s a lot of folklore and legend around this race, given the honour of being regarded as the birthplace of the 100 mile event. A guy by the name of Gordy Ainsleigh had finished the Western States Trail Ride (Tevis Cup) in 1971 and 1972 on horseback, but in 1973 his new horse was pulled with lameness at the 29-mile checkpoint. In 1974, with the inspiration and encouragement of Drucilla Barner, first woman to win the Tevis Cup and Secretary of the Western States Trail Foundation, Gordy joined the horses of the Western States Trail Ride to see if he could complete the course on foot. 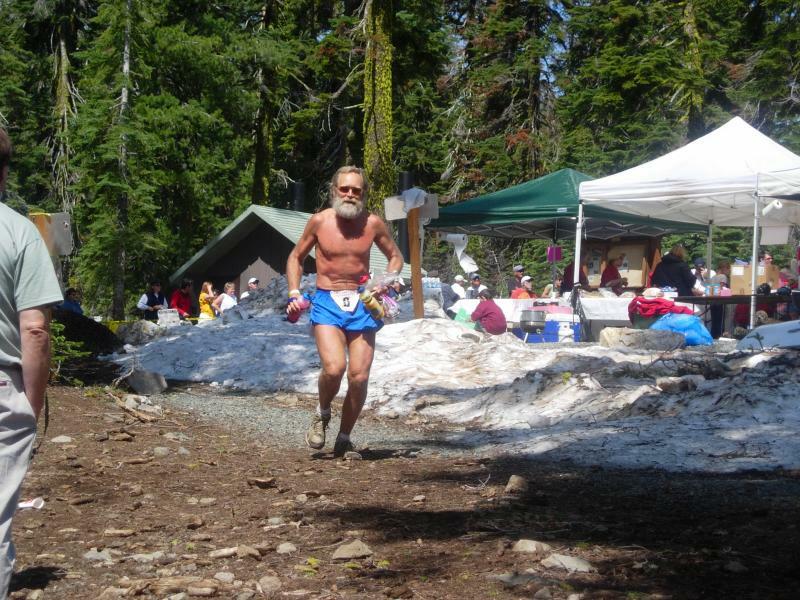 Twenty-three hours and forty-two minutes later Gordy arrived in Auburn, proving that a runner could, indeed, travel the 100 miles in one day. Thus, 100 mile racing was born. Some notable achievements to mention are Tim Twietmeyer who completed the race a record 25 times, all in under 24 hours, winning five times. Scott Jurek’s 2005 victory was his seventh consecutive win, and Ann Trason has won the race fourteen times. But back to the main event. Who’s in it to win it come Saturday night in Auburn? Last week, we interviewed Stephanie Howe, who will be back to defend her title. You can read more in that interview where we asked her how she was tracking and where she is an athlete. Despite having a lower volume of miles in the bank, she says she’s fitter and raring to go. This is one lady who has her head screwed on as far as racing is concerned and doesn’t over do it in the slightest. As returning champion, the pressure will be slightly more intense than past year where she was on not only her debut run, but debut 100 miler. But having spoken with Stephanie, you can tell she’s pretty relaxed about it all and that won’t phase her one iota. She’ll be good to go. Speaking of debut 100 milers, another lady hoping to follow Stephanie’s course from last year is former Olympic marathon runner, Magdalena Lewy-Boulet. With a PB of 2:26 for the marathon, Magdalena burst onto the ultra running scene a few years ago. Like Stephanie, Magdalena has never been off the podium in any ultra she’s started, with a highlight being the win at the Endurance Challenge 50 miler, as well as winning the Montrail Cup 100kms too. Some other notable big names that our readers will recognise include Megan Arbogast and Nikki Kimball. These two veterans of ladies racing will be battling it out for the high spots once more. Megan finished in eight place last year, but is going in with some good form having won the Quicksilver 100kms earlier this year. 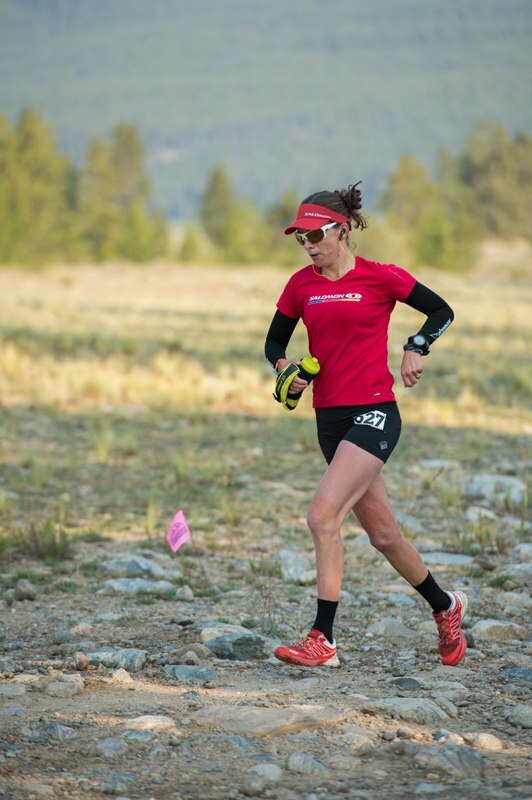 Nikki is a serial racer with nine top ten finishes at Western States. Will she hit the podium? Perhaps not likely with some of the talent on display, but there’s no denying her quality and longevity at not only this race, but the sport in general. Watch out for Aliza Lapierre who finished third in 2012. She’s had her fair share of injury woes in the last year or so, but has been in very good form in 2015 thus far. She’s won four races including the Bandera 100km, along with an eight place at Transgrancanaria a few months back. I think Aliza will be the dark horse for this race. Michele Yates is also a very real contender. 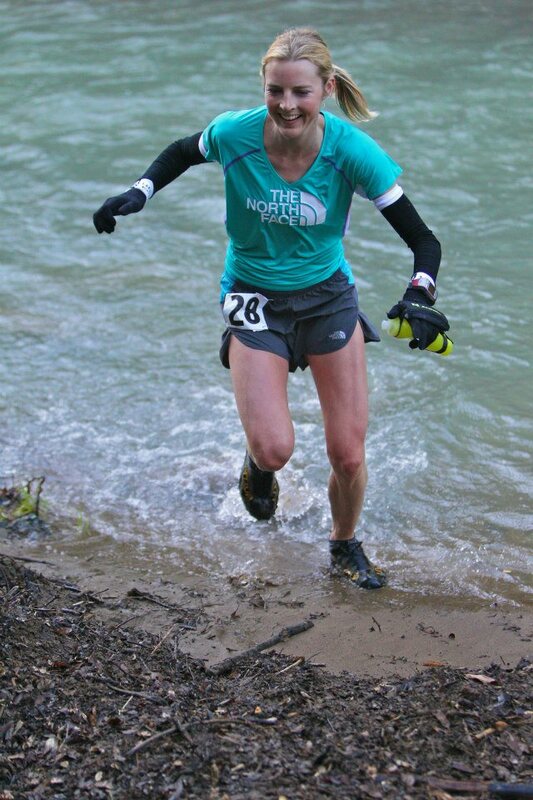 She had a stellar year in 2013, being named ultrarunner of the year, but since then has chucked in the odd DNF, but has also picked up a couple of Montrail cup wins this year, along with winning the Gorge Waterfalls 100kms. Finally, another very interesting name on the ladies list is the 2009 champion Anna Ortiz. She’s had a tough time of it since her win six years ago with some pretty serious injuries, but her win at Pikes Peak last year is pointing towards an upward gain. While the ladies is dominated by US athletes, the mens has a much more international feel to it, however I do think there will be two US guys duking it out for top spot. Last year’s champ, Rob Krar and the man of the moment, Dylan Bowman. 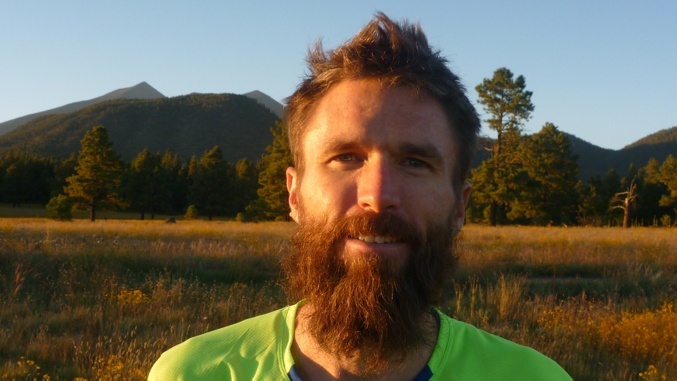 Starting with the latter, Dylan has been in red-hot form this year and he’s well-known to crowds down under having scored wins at both Tarawera and then TNF100 where he ran a hugely impressive 8:50. He finished third at States last year, so you have to say that with current form and bar an awful race, he’s going to be on the podium again. Just where will be another question however. Rob Krar is the returning champ and I guess that’s an edge he holds over Dylan. Rob is pure class through and through. A man highly dedicated to his sport and meticulous in his preparation. North Face team mate Stephanie Howe said to me that she doesn’t know of anyone else that gives up so much and whom is so dedicated to what he does. Rob will know that the pressure will be slightly greater than last year as returning champion, but for me, it’s hard to see him not doing it again. Another guy well-known to our shores is South African Ryan Sandes. Ryan finished fifth at States last year, following a second place in 2012. Ryan has not raced in 2015 and was recently married too, so the change of scenery is probably going to do him no end of good. He’s also been training hard on the course too – you’ll know this if you’ve been following him on Facebook! I think we’ll see a whole new Ryan racing this year – podium potential for sure. France’s François D’Haene also lines up this year, one of the most dominant 100 mile mountain races in the world right now. A quality athlete he is, but with a lack of ‘montanes’, I’m not sure if he’s going to be bothering the podium placers as he’s a mountain goat thorough-bred through and through. Still, it’s great to see him having a crack at something different. The same goes for the likes of Timothy Olson (not racing) who despite his skills over the ‘flat-tracks’, makes sure he pushes outside of those comfort zones atUTMB for example. 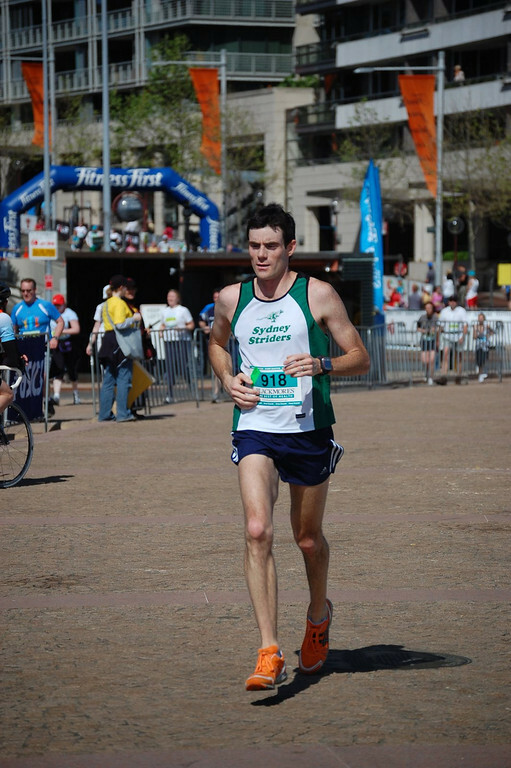 Francois finished fifth atTNF100 a few months ago, commenting that the race was ‘fast’. Whether that’s a little bit of ‘lost in translation’ or playing to the crowd, we’ll see. Other notables are Seth Swanson (second last year), Alex Varner (seventh last year) and Brit abroad, Ian Sharman, who’s bagged a number of top ten placings over the years and is sure to again. I’ve got a lot of time for Ian as he regularly contributes to what we have to say, along with another Ultra168 favourite, Mike Wardian. Both top blokes who take the time of day with people. As you’ll have already seen from our previews, we have Brendan Davies (eight last year) and Andrew Tuckey racing too. Both these guys have got top ten potential written all over them. They’re both capable of sub 16hrs, which means a top ten finish more than likely. That said, while we have great hopes for them both, the main thing is that they simply enjoy the racing out there. From all accounts it should be a quick day. There is no snow up top in the upper parts of the course, so that will make for a quicker start than in recent years. With the talent that’s lined up, I think we’ll possibly see a new course record. Dark horse, Aliza Lapierre and last year’s winner Stephanie Howe – too close to call. Looks like it will be a hot one! The canyons and Cal Street could be brutal!